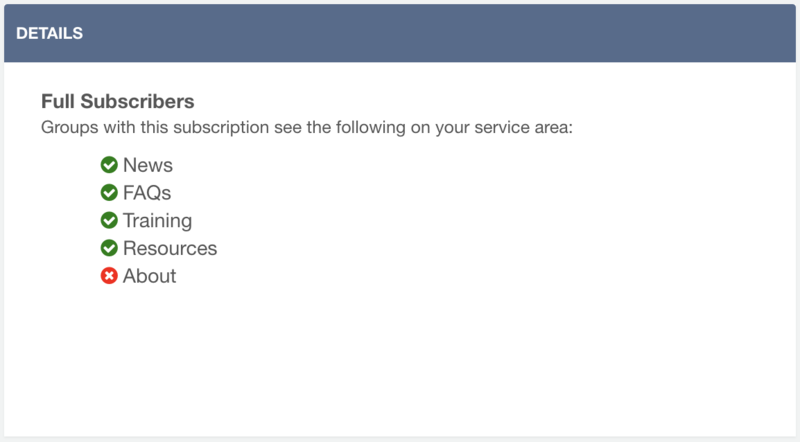 On GovernorHub, subscriber levels define what you can see on your boards' GovernorHub pages, and what your boards can see on your service area. 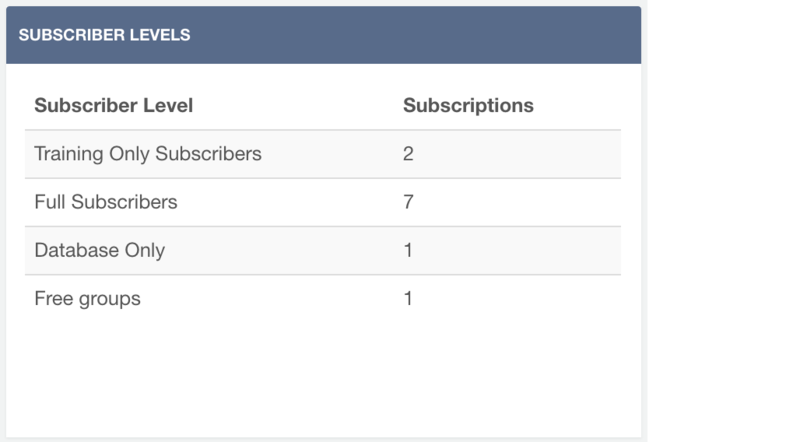 You can see the subscriber levels for your service under the GovernorHub section of the Admin site. Click on a subscriber level to see a list of the schools in that level and what they can and can't see in your service area.